Transform your morning coffee into a delicious frothy cappuccino in seconds. Brushed steel body with chrome stand will make it a stylish edition to any kitchen. 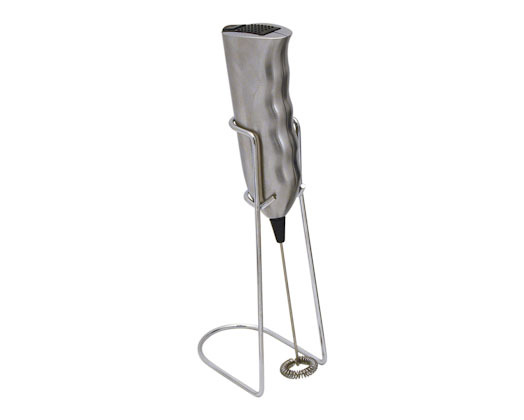 Easy to clean with removable whisk and no hassle with cords as it is battery operated.